The news out of Oregon is not good. A few armed crackpots have taken over the unoccupied headquarters building at a wildlife refuge in order to protest the incarceration of a couple of ranchers who were convicted of arson. Nobody should break the law in this way. But the history behind this standoff goes a long way back. And Ozarks residents probably hear some familiar notes in the complaints of the ranchers. In a smaller and more geographically limited way, the creation of the Ozark National Scenic Riverways caused the same kind of wounded feelings, and had an impact on the lives of longtime residents, as the actions of the Bureau of Land Management did out West. Any time a government agency moves in to take control of land for a perceived greater public benefit, or to take ownership of privately owned land, the same tensions will come up. Here’s an interesting article on the history of land acquisition by the National Park Service for the Ozark Riverways. Word comes through the news that the Missouri State Park system is creating a new park on the site of the former Camp Zoe. This is about 90 percent welcome news. First, the good-news part. A tract of this size, this close to the Current River, is almost impossible to find. Had it been sold to a private developer, it would likely have been parceled out into speculative five-acre lots with the promise of future improvements that would likely not have occurred. Almost every county in the Ozarks has one of those would-be vacation paradises sitting undeveloped and abandoned, with a few one-acre, two-acre, or five-acre lots bought and built and the rest waiting for the inevitable tax sale. Or, it would have been developed into an exclusive private preserve, sealed off from public enjoyment for decades to come. In addition, Sinking Creek has become one of Missouri’s few naturalized trout streams, and the odds of that creek remaining a favorable habitat for trout dramatically improve with a portion of it under state control and oversight. I don’t expect the park system to try to develop it for trout fishing, since there are already plenty of good trout parks in the state, but my point is that there will be a much closer watch on the total ecosystem in that area, which has already suffered plenty of environmental insults in the past. Finally, there’s the economic benefit. Shannon County is a depressed area by any measure, and even the simple boost of the massive construction project alone will provide a big one-time jolt to the local economy. The ongoing benefits are impossible to measure, but they will be positive. Ask any local resident who lives near Sam A. Baker State Park, Cuivre River State Park, or Elephant Rocks State Park whether they’re glad to have them nearby. The local legislator quoted in the recent Salem News article about the park, who called it a “threat” to the “rights and the money of the taxpayers,” was spouting politicized nonsense of a special order. But there are concerns as well. First, I’d have to say that the economic benefits are being oversold, as we also see in the Salem News article. The magical “multiplier effect” of economic benefits is a common trope of those is the public development biz, but I’ve never seen it touted at the laughable, nonsensical ratio of 26:1 before. That’s just nonsense. Leland and Crystal Payton, in their admirable book Damming the Osage, describe the sad history of economic wishful thinking as it applied to the creation of Truman Reservoir. This project doesn’t involve the kind of large-scale destruction that one did, of course, but it’s worth keeping in mind that forecasts of economic paradise are always baloney. I’m also mildly concerned about all the talk of this park being described as appealing to the “upscale market” and other such code words for “people who spend more money than the usual state park visitor.” It’s true that state parks have to pay something back to the government for their maintenance and upkeep, but let’s not forget that a park system is a public trust, not a profit-making enterprise. A state park that chases too much after the luxury clientele that is better served by a private resort has forgotten its purpose for existence — to provide recreation for all the people, not just those who can afford it. Let’s hope the managers of this new park keep that mission in mind. 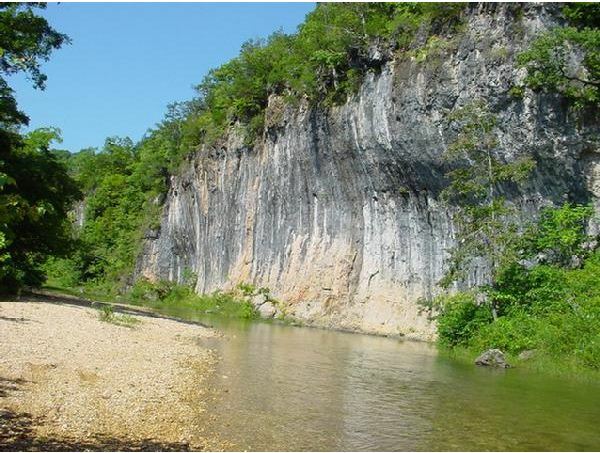 As reported by the River Hills Traveler, the Missouri Department of Conservation filed a comment with the National Park Service opposing its proposed changes in the Ozark National Scenic Riverways‘ Draft General Management Plan. There were a number of odd things about this move. First, the comment was filed on February 4, only three days before the closing date for comments on the plan. The timing of this comment suggests one of two things. Possibly, the Conservation Department was acting under instructions from the Conservation Commission to go on record opposing the plan in order to keep state politicians off their neck, but to do so in a way that would not call attention to the opposition and thus not pose a serious threat to its adoption. The Conservation Department and its voter-approved separate source of funding (which I talked about in an earlier post) are subject to periodic attacks by those who would like to bring it under more political control, or who are reflexively opposed to government in general. The result has been that the Conservation Commission usually displays a fanatical caution when treading in political territory. Hollering about the National Park Service is the current favorite sport of Missouri politicians. The House Budget Committee recently set aside $6 million in the state budget to operate the Riverways as a state park, just in case the federal government decides to return the Riverways to state control. So perhaps the Commission felt the political need to add its peep to the chorus. The other possibility suggested by the timing is that the Department didn’t want to allow enough time for its objections to be considered fully. I doubt this, but suppose it’s possible. The department’s objections range from weak to potentially meaningful but not significant, and some discussion of them would be good. But now that the comment period has closed, all discussion is presumably after the fact. But what the heck, let’s do it anyway. outside wilderness, or unacceptable loss of wilderness values.” Point 3, as I understand it, seems to be that the department doesn’t want to have to get out of its big motorboats to do game law enforcement and wildlife research. Oh, come on. If the person catching over the limit has to be in a canoe, do you really need a motorboat to catch him? Couldn’t you just call ahead to the next downstream access point–or paddle faster? Point 4 is a general “we like to hunt and fish” statement that doesn’t address any of the specific provisions of the management plan. The Conservation Department has a history of doing good work for the citizens of Missouri, and I’m always inclined to give them the benefit of the doubt. But this “comment” is just weird. The fact that the department didn’t even bother to issue a statement or news release about its comments in opposition, and that the Traveler had to ask twice before getting a copy of the letter, makes me think that they would just like the whole discussion to go away. 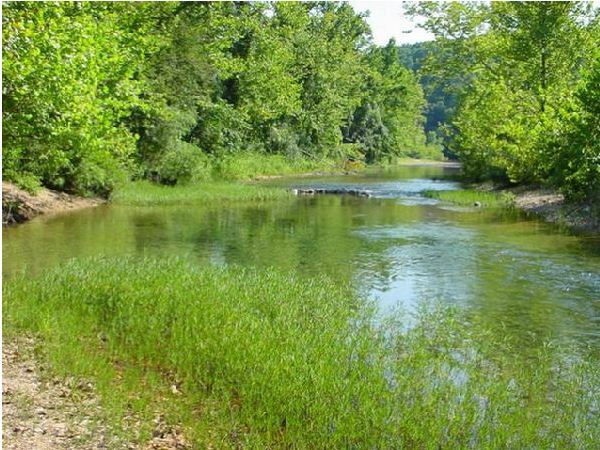 The proposed management plan for the Ozark National Scenic Riverways has finally been released by the National Park Service. After years of hearings, meetings, public brouhaha, and generalized hollering, the NPS has released not one plan, but three, with their preferred one identified. Essentially, one is a high-preservationist model, one is a motorboats-and-dirtbikes model, and one (the NPS-preferred one) is sort of in-between. As compromises go, it’s typical. I suspect the NPS is hoping that everyone is modestly dissatisfied with it, but not dissatisfied enough to mount too much of a stink. The NPS will hold public hearings on the plan on a Tuesday night in Van Buren and a Wednesday night in Kirkwood, both in early December. Here’s the schedule and the online site for posting comments. Of the various media that cover outdoors and environmental events and issues in the Ozarks, one of my favorites is the River Hills Traveler. It started out years ago as a tourism magazine, and still retains that element. But it also provides coverage of the less tourist-savory news, such as the unfortunate shooting of a floater on the Meramec River earlier this summer and vandalism at the Castor River shut-ins. RHT has been following the winding trail of the NPS management plan over the years, and I’m sure it will continue to do so. I highly recommend the River Hills Traveler for anyone interested in news about the Ozarks.